Important Notice - Establishment Dog Training, Ltd. 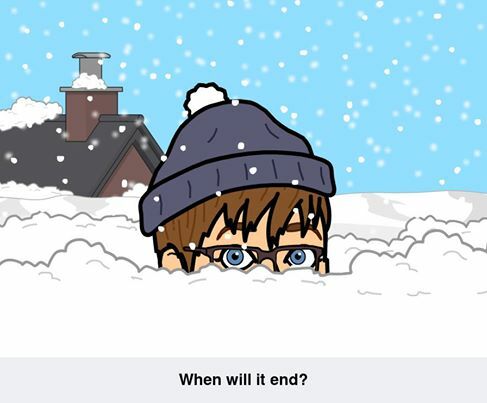 I've been monitoring the weather forecasts and it appears that in addition to the Sunday blizzard, there will be an additional 2 to 3 inches of snow arriving Tuesday evening which will continue through Wednesday morning. Although Thursday is predicted to be clear, temperatures will be in the low teens and single digits. In my experience, it generally takes 2 to 3 days to clear side streets after a significant snowstorm like the one we had yesterday, and commute times are doubled. The Tuesday/Wednesday snow followed by frigid temperatures on Thursday will further delay the clearing of side streets and make main roads treacherous. Although I am reluctant to postpone classes for the second time this year, I suspect that it would be difficult for many of you to make it to class this week. Therefore, all classes will be canceled on February 3rd , 4th, and 5th. Classes will resume the following week (February 10th, 11th, and 12th) at the regular scheduled times. One week will be added to the session to accommodate for the canceled classes.